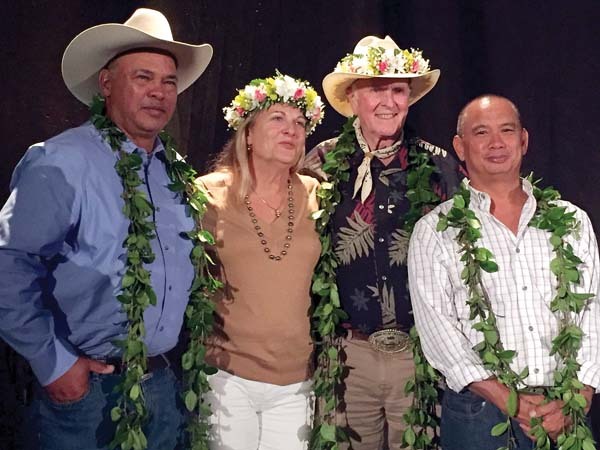 Competing with cattle producers across the western United States, Haleakala Ranch was named the regional winner of the annual Environmental Stewardship Award on Wednesday night in Denver. For almost 30 years, the award has recognized the “outstanding stewardship practices and conservation achievements of U.S. cattle producers from across the nation,” according to its website. Seven regional winners are chosen, and a national winner is later selected from among them in the contest started in 1991 by the National Cattlemen’s Beef Association. 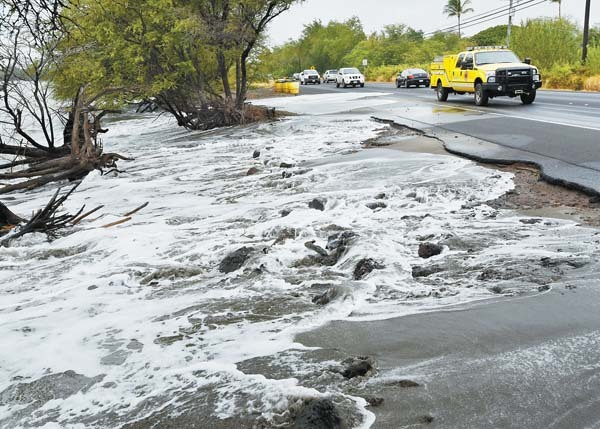 Haleakala Ranch was nominated by the Hawaii Cattleman’s Council for its work fighting invasive species, keeping beef production local and helping to conserve local watersheds. But while ranch staff members were happy to accept the award, they still know there’s plenty of work to do. Haleakala Ranch was co-founded in 1888 by brothers Sam and Harry Baldwin and is now Maui’s largest and oldest cattle ranch, according to the ranch’s award application. The ranch occupies a sprawling 29,000 acres on Haleakala’s eastern slopes and has more than 1,200 brood cows, mostly black and red angus. The operation is owned by more than 100 family shareholders and run by a staff of 19. When Jokiel and Friel talk about all the work left to do, they’re likely referring to the daunting task of fighting old and new invasive species that have taken hold on the ranch. One of the biggest challenges is gorse, a thorny shrub that’s invaded more than 1,000 acres of ranchland. There’s also black wattle, pine, fireweed, eucalyptus, faya tree and lion’s ear — all plants the ranch has to keep an eye on lest they get out of hand. For more than 40 years, the ranch hired a summer crew to control invasive species. It now has three full-time staffers for the job. Friel said he likes to use what he knows best — the cattle. In small-scale trials, he takes truckloads of invasive branches and leaves to the cattle, sprays them with a molasses and water mixture and trains the cattle to develop a taste for the invasive plant. After a week, he can stop using the spray, and the cattle will continue to forage on the plant. Grazing cattle can also help decrease the time spent working on invasive species control. The more they eat and trample, the less the staff members have to mow or treat with herbicides. As for the gorse, which isn’t palatable to the livestock, the ranch is planting native koa trees to help “shade out” the sun-loving shrub. The hope is that the tall trees will not only compete with the gorse, but also boost the native ecosystem and allow sustainable harvests for koa products many years down the line. Plants aren’t the only things causing problems for the ranch. There are also axis deer, which damage fencing and keep the grass from growing back by foraging and sleeping on it. “The biggest thing is the impact on the rest period to the pasture,” Friel explained. “We could keep the cattle out, and they don’t come back until we want them in, but the deer come and go whenever they want because fences that hold cattle can’t hold deer. . . . The grass doesn’t have a chance to come back and heal the land, so instead nature tries to heal itself by kicking up weeds. “The deer have forced the ranch to the transition from electric to suspension fencing — four strands of barbed wire that provide “more visibility and flexibility,” Friel said. The ranch also has a contract with KIA Hawaii to allow hunts six nights out of the month, Friel added. Many of the “harvests” are inspected by the U.S. Department of Agriculture, which allows the meat to be used for human consumption. Non-USDA inspected hunts go to pet food markets. Back in 2002, hoping to keep beef production local, the ranch partnered with five other family-owned ranches to create Maui Cattle Co. The goal of the new company, which included Ulupalakua, Hana, Kaupo and Nobriga ranches on Maui and Olumau Angus Plus on Kauai, was to keep cattle within the islands and “shorten the distance between pasture and plate,” according to Haleakala Ranch. Friel said the ranch hasn’t shipped cattle off island in nearly 10 years. 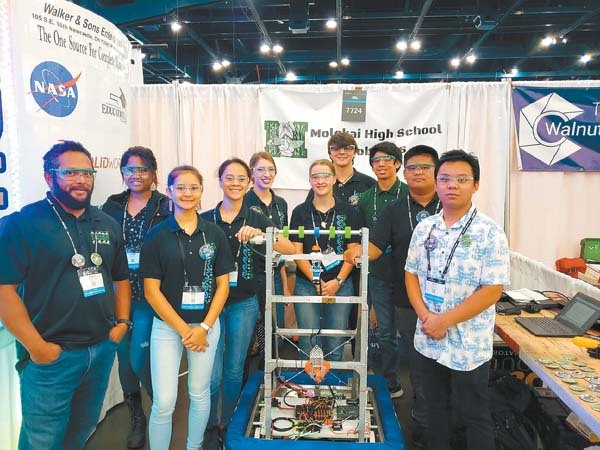 When ready, the cattle are sent to DeCoite Packing House and then to Maui Cattle Co.’s processing plant in Kahului to be packaged and delivered to the markets. Dry-aged premium beef makes its way to high-end restaurants on Maui and Oahu, while ground beef and select cuts are sold in many Upcountry stores. Everything the ranch produces is marketed through Maui Cattle Co. Whether it’s planting trees, taking land out of grazing or creating a nene habitat, conservation has long been a focus of the ranch. One of its early managers, Louis von Tempsky, led efforts to plant 120,000 trees and fence 7,000 acres of watershed lands in the early 1900s, according to John Harrisson’s book “Haleakala Ranch.” Samuel Alexander Baldwin, H.P. Baldwin’s son and the ranch manager after von Tempsky, apparently wouldn’t allow employees to nail barbed-wire fencing directly to tree trunks. Through the years, the ranch has dedicated portions of its land for preservation. After a series of negotiations from 1916 to 1927, the ranch transferred 9,000 acres to the federal government to help establish Haleakala National Park. In 1983, the ranch granted a perpetual easement to The Nature Conservancy to manage 5,230 acres of upper watershed land, which became the Waikamoi Preserve. In the 1990s, the ranch was a founding member of the East Maui Watershed Partnership, and worked with the federal government to set aside the Pu’u Pahu Reserve — 1,200 acres of “delicate alpine ecosystem” — in perpetuity for native forest restoration. 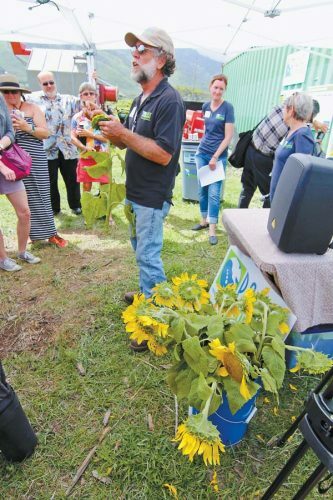 Jokiel said another upcoming project involves taking 100 acres from the ranch’s windward pasture out of grazing in the coming years to allow for protection and recovery of the native forest. Known as ‘Ukulele, the pasture is located adjacent to the Makawao Forest Reserve and the Waikamoi Preserve and still has native koa and ohia trees. The ranch plans to use its herd to manage the understory weeds. The ranch allows these organizations land access, use of roads and helicopter landing zones to do conservation work. Another byproduct of the ranch’s relationship with conservation groups is outreach. In April, the ranch hosted “Ag in the Classroom” days, which drew 1,100 2nd-graders to the ranch’s pasturelands. The national winner of the Environmental Stewardship Award will be announced in January.